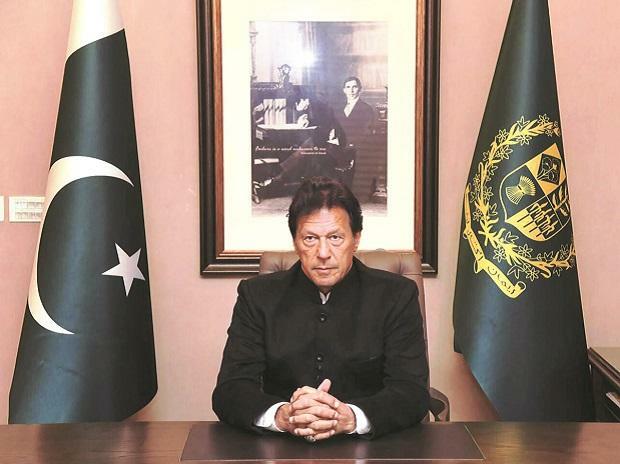 Pakistan Prime Minister Imran Khan said on Monday he wasn't worthy of the Nobel Peace Prize, after a motion was submitted in Pakistan's top National Assembly Secretariat calling for him to be awarded the coveted prize for his role in "de-escalating" tensions between India and Islamabad. An online petition was filed with the Norwegian Nobel Committee for the nomination of Khan for the Nobel Peace Prize for 2020 for "his peace efforts and dialogues in the Asian region on diverse conflicts (Pakistan-India, Afghanistan-US, Middle East). "His (Khan's) contributions deserve the international recognition with the Nobel, his aims of ensuring lasting peace in the region and discouraging revival of militarism should be recognized and greatly appreciated," read the online petition on website Change.org. The cricketer-turned-politician tweeted, "The person worthy of this would be the one who solves the Kashmir dispute according to the wishes of the Kashmiri people and paves the way for peace and human development in the subcontinent." Tensions escalated between India and Pakistan after the Pakistan-based Jaish-e-Mohammed (JeM) claimed responsibility for a suicide bombing that killed 40 CRPF troopers in Jammu and Kasmir's Pulwama on February 14. India, in retaliation, bombed the JeM's biggest training camp in Balakot in Khyber Pakhtunkhwa. This was followed by Pakistan capturing Indian Air Force (IAF) pilot Abhinandan Varthaman after his MiG-21 fighter jet was shot down during a dogfight near the Line of Control (LoC) on February 27. He was released on Friday night as a "peace gesture". On Saturday, fifty-nine Nobel laureates urged the prime ministers of India and Pakistan to "defuse the rising tension" before the situation "escalates to a full-fledged war"
A letter signed by the Noble winners was submitted to India and Pakistan's Permanent Representatives to the United Nations on Saturday. The Nobel Laureates who have signed the appeal include Leymah Gbowee, Shirin Ebadi, Tawakkol Karman, Malala Yousafzai, Muhammad Yunus, Jos Ramos-Horta, Edvard Ingjald Moser and May-Britt Mose, among others who have been awarded the prize across disciplines, according to a statement. This is for the first time ever that such a large number of Nobel laureates, ranging from peace laureates to those from the fields of economics, chemistry, physics and medicine have come together with a joint appeal to call attention to the lives and future of more than half a billion children in India and Pakistan that are at stake, the statement claimed.